Business location headshot shoot from earlier in the week. This kind of shoot is great for getting headshots for the webpage, LinkedIn profile photos, Press-Releases, and a million other purposes. I am able to shoot quite a few of these in an afternoon, so it’s possible to get a “quantity discount” thing going. I charge for my time, so if we keep it simple,we can get an whole lot of people photographed in the half day. If I would of been asked to find a separate location for every shot, The shoot would of taken longer than it did, making it a bit more expensive for the client. And if the shots don’t appear right next to the others on the webpage, (or whatever), then that’s even better. By choosing only one location, I was able to select THE best location and I didn’t need to compromise on any of them. The office was a typical cube setup. This was the lobby area and without a doubt, the most attractive environment in the entire office. Call me, drop me line. Heck, leave a comment and JOIN THE MAILING LIST! I’ll get back to you! Thank you for your interest in Michael Ray’s Pittsburgh headshot services. Feel free to contact Michael with any questions you may have about getting your headshot taken, including fees and scheduling. 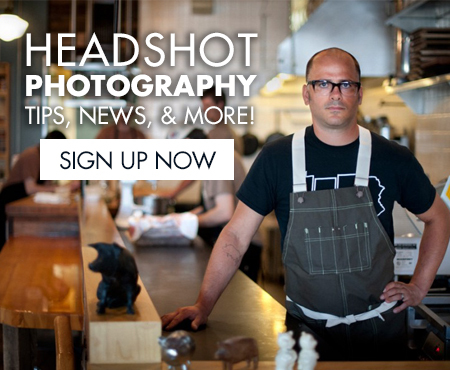 Get headshot photography tips, news and more.